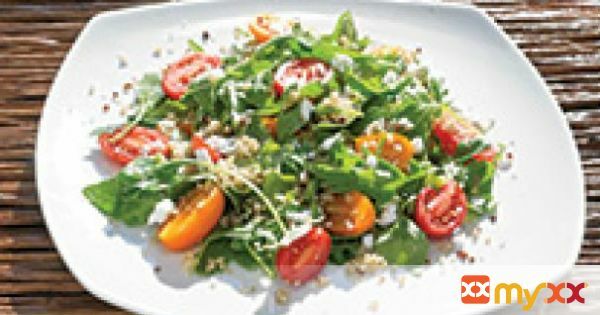 'Tis the season for indulgence, so perhaps it's time to lighten things up with a fresh, festive salad featuring arugula, tomato and quinoa. 1. Add cooked, cooled quinoa to a bowl. 2. Add remaining ingredients and mix well.